India has always fascinated the world in one or the other ways. In ancient and early medieval period we were famous for being a country where riches overflowed and true it was. We were truly and correctly called Sone ki Chidiya. Gold has always been the favorite of Indians as it is considered something very very precious and quite often offered to the deities. We have been from time immemorial, very generous in donating for religious purposes. This trend continues even today. So obviously temples have always been the richest places in India. It was this whiff of unimaginable wealth that has brought hounds and bloodhounds like Mahmud of Ghazni to our door steps. He was a plunderer and looted huge amount of wealth from his numerous raids. Persian historian Firishta has given a detailed account of the loot and plunder committed by Sultan Mahmud of Ghazni. Mahmud plundered and looted India 17 times. According to Firishta, with the wealth looted from India, Mahmud turned Ghazna that covered Pakistan, eastern Iran, and parts of Afghanistan into a wealthy empire. Every household, as described by Firishta, was abundantly rich with several slaves (captives taken from India, especially women). Mahmud had heard a lot about the vast wealth stored in Somnath temple. He marched towards Somnath with a huge army. The rulers of Gujarat offered a stiff resistance to save Somnath temple. The battle continued for several days until Sultan Mahmud of Ghazni gained hold of the shrine. It was 1024 AD. 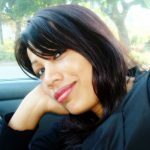 Here is Firishta’s account of the battle. *Jewels studded in the idols and walls reflected on the pendant lamp which brightened the dark interiors! Ancient and medieval temples of India had arrangements for lighting at night. Somnath temple had no lighting arrangements even for the night except one pendant lamp? The whole interiors of the Somnath temple were so full of jewels studded in the idols and walls that reflection of the pendant lamp on the jewels brightened the dark interiors! How gifted ancient Indians were!! A huge chain of gold, weighing 200 muns hung from the top of the building by a ring; it supported a great bell, as also present in Hindu temples at the entrance of the temple or/and at the entrance of the Garbhagriha. The weight of 1 mun varies from 2lb to 11lb according to medieval era historians. 1 lb = 454 gm. Going by today’s context, 1 mun is considered equivalent to 40-45 kgs, especially in Rural India. Mahmud ordered his men to break the idol of Somnath. The hollow belly of the deity was filled with precious gem stones like diamonds, rubies, pearls, sapphires, etc. The barbaric plunderers broke the idol and from the belly they discovered vast wealth. The value of the precious stones was much higher than the huge amount of wealth offered by the Brahmins to save the idol. Here is Firishta’s description of the same. To quote Firishta again, “The King, approaching the image, raised his mace and struck off its nose. He ordered two pieces of the idol to be broken off and sent to Ghizny, that one might be thrown at the threshold of the public mosque, and the other at the court door of his own palace…. Two more fragments were reserved to be sent to Mecca and Medina.” When Firishta wrote the book, it was past 600 years of the destruction of Somnath by Sultan Mahmud. Firishta wrote that the identical fragments of the Somnath idol were seen at Ghazni during his times! *2000 villages were bestowed to the Somnath temple authorities for the maintenance of the temple. (Ancient scriptures and surveys by Britishers corroborate the grant of villages by rulers for maintaining temples. Besides, temples also served as learning centres and as treasury). *Besides main Somnath idol, there were thousands of other idols of deities in gold and silver. Featured image courtesy: Saiprema – WordPress.com and deshgujarat.com. 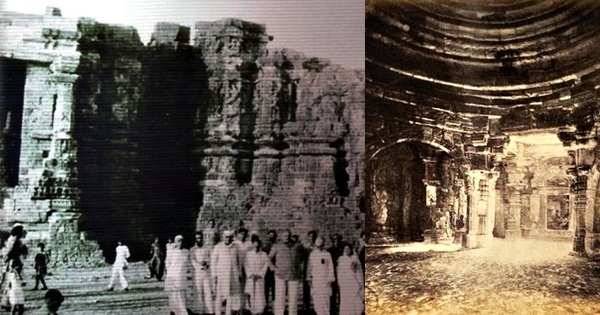 Somnath temple was looted and plundered several times. Besides Mahmud of Ghazni, several Islamic plunderers including Alauddin Khilji and Aurangzeb looted and destroyed it. Even the Portugese left no stone unturned to see it in ruins. And each time, it was reconstructed by the Hindus. Worshiping continues here since antiquity. The looters perished so did their dynasties and prowess. But the temple continues to retain the cultural identity and faith of an ancient civilization and religion. 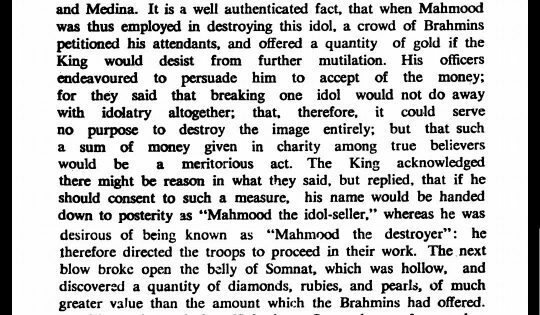 Ref: Ferishta, Mahommed Kasim, History of the Rise of the Mahomedan Power in India till the Year A.D. 1612, Translated by by Briggs, John (1908), Calcutta, Cambray. How Sultan Mahmud, Allauddin Khilji, Aurangzeb Looted and Destroyed Somnath How Mahmud of Ghazni Looted India’s Vast Wealth and Destroyed Temples Somnath: Where Faith Triumphs over Fanaticism What European Visitors’ Accounts Say About Taj Mahal as Hindu Structure How Jalore Rajputs Snatched Back Somnath Booty and Shivalinga from Khilji Army Is Mukti Sthal the Original Somnath? The Saraswathi River Connection!